Inspired by classic, three-wheeled cargo bikes, the highlight of the design is the front wooden crate, perfect for hauling beginner typography books, Pantone/Crayola conversion charts, or even little puppy Gehry (little sister definitely not recommended). 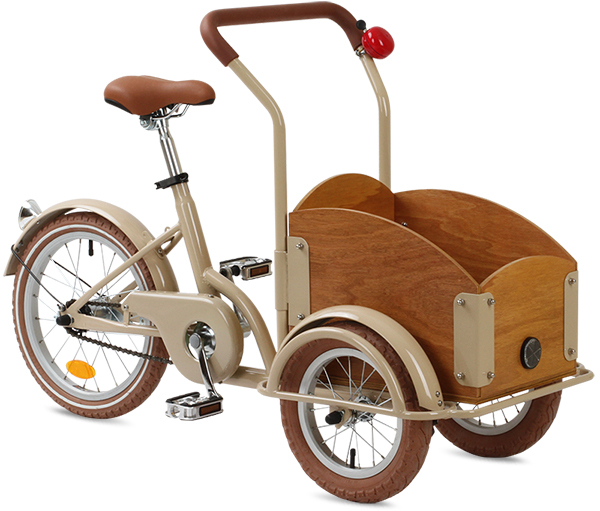 Traditionally used for transporting more prosaic loads, the adult version of this inverted tricycle of sorts is commonly seen throughout the streets of cycle happy Europe toting everything from baguettes to kinderen. 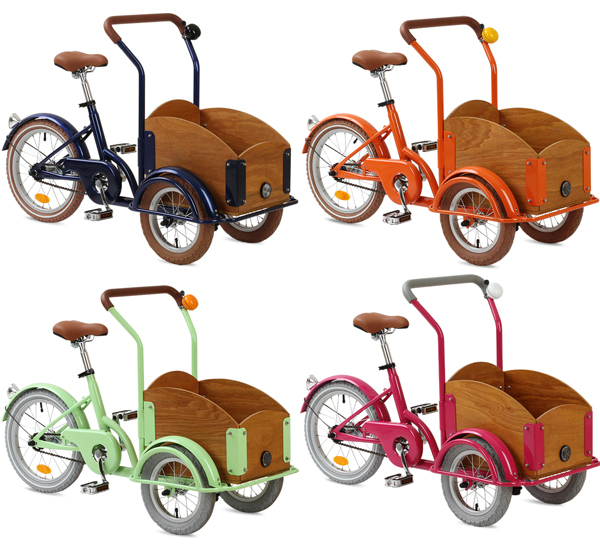 We shrink-rayed this design to offer a chic, yet practical starter bicycle alternative. Pedal to Saddle: 19" to 24"
Cargo box size: 12" x 16"